Based in West Yorkshire and founded in 2008, the concept behind our company was to bring a ‘Taste of Africa’ to the British and European markets. Our range of high quality giftware is principally sourced from craft workshops and individual designers in Kenya, East Africa and we go to great lengths with our Kenyan buyers to ensure our goods are always ethically sourced. With family and friends based in Kenya, we make regular trips to this beautiful corner of East Africa and this enables us to seek out new suppliers and products to keep our giftware range exciting and always a little bit different! Kenya has such a diverse landscape, from the breathtaking beauty of the Rift Valley; the uplands around Mount Kenya; the lush and fertile region around Lake Naivasha; the safari plains of the Masai Mara and Tsavo National Reserves (to name but two) to the white sands and clear waters of the Indian Ocean on the Kenyan coast; this is a country of stunning contrasts. Tourism is of increasing importance to the Kenyan economy and we urge you to visit and experience this beautiful and friendly country for yourselves. Of course, the romance and beauty of the ‘tourist route’ is only part of the story. Many communities in Kenya continue to live in great poverty and, more recently, famine and political unrest have further added to their suffering. Yet, even amidst the poverty of the hardest hit regions, these people remain cheerful, industrious and dignified. To lend support to these poor communities, a percentage of our annual profits are donated to the Yorkshire based charity ‘CART’ (Christian African Relief Trust), which is run entirely by volunteers both in the UK and Africa. CART sends goods to the poorest African countries to relieve extreme poverty and support the education of children and young adults. You can find out more about this worthwhile charity by visiting them at www.cartyorkshire.co.uk. 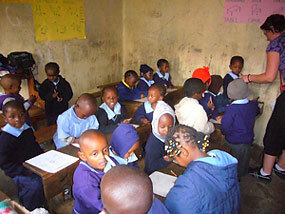 The other charity close to our hearts in Kenya is ‘Project Chance Africa’. This is a fantastic charity run by Canadian Suan Cross who, several years ago committed herself to raising funds to build a new school for the children of the Mathare slum in Nairobi. 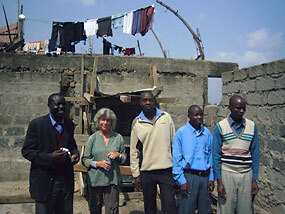 Living conditions in the Mathare slum are desperate and the inhabitants’ plight is ignored by the Kenyan authorities; the children of the slums know their only chance in life is through education but they receive no government help, so rely solely on the goodwill of mostly unpaid teachers in buildings of unspeakably sub-standard quality. 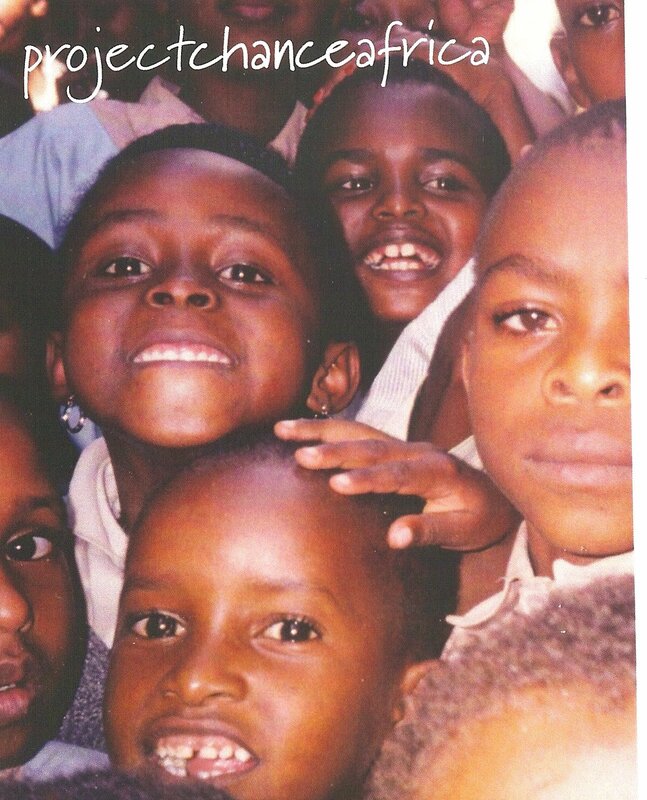 The privileged children of the western world receive an education by right; the children of the Kenyan slums only receive an education by chance. CLINIC – Through donations, Project Chance Africa were able to buy much needed medical equipment for the clinic and an autoclave for the sterilisation of instruments and liquids. Blood-testing equipment now enables the testing for Malaria, Cholera, HIV/AIDS, Diabetes etc. The clinic treats an average of 100 patients per day, 80% of these are children, many of whom are severely malnourished. 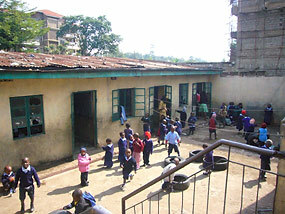 THE SCHOOL built by ‘Project Chance Africa’ now has 510 students and a waiting list. This is amazing given that, when the project began several years ago, parents had to be encouraged to send their children to school! Through donations, the charity is now able to pay the teachers a regular modest stipend and to fund two Head Teachers’ salaries. Qualified Head Teachers make a big difference to the quality of education a child receives. THE PAJOMJA HEALTH INITIATIVE FOR TEENS has been expanded, educating them on the realities of HIV/AIDS, early pregnancy, violence, drugs and alcohol. This program teaches them critical thinking, how to make difficult life choices and build self-esteem and independent thinking. POST-SECONDARY STUDENT SUPPORT – exceptionally bright students are given financial support through university. 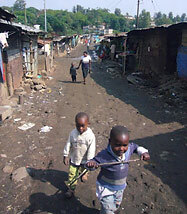 Many of the children in the slum have no parents or only one parent. They live with ‘a guardian’ on the streets. Girls as young as 10 are often trafficked to be sold into marriage, prostitution or domestics to foreign countries. Help is always needed to fight these unscrupulous agents and your purchases help us to donate to this worthy cause. Everyone from Project Chance Africa says ‘ASANTE SANA‘ – Swahili for ‘Thank You!’ to the customers of Out of Africa Gifts.